The last batch of sleeper picks for the preseason will be the tight ends. Obviously the pool of players is not as deep as for running backs or wide receivers, but I'll try to throw out some names that could get you some value. 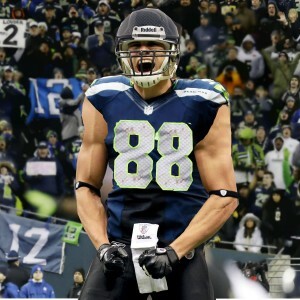 Jimmy Graham crashed and burned in Seattle, but he has too much talent to be a total bust. Graham was largely ineffective last year and is coming off a serious injury; these do not seem like a recipe for success. However, given his track record as an elite talent, I have trouble writing him off after one bad season. As much as he could not seem to develop a rapport with Russell Wilson, I will give Graham one more chance before I declare him a total bust for the Seahawks. Here we have a guy with great potential that continues to frustrate fans and fantasy owners alike. Like Graham, he is an enticing player with upside that can be had for a steep discount. When he is healthy he works well with Jameis Winston and the two of them should continue to develop that relationship. If you think that Winston will take another step forward this year, this could be a real bargain in the making. Walford was a prized prospect entering his rookie season until he was derailed by injury. He managed to string together a few decent, though unspectacular games at the end of 2015. Now he will be looking to build up some momentum and get a piece of the Raiders’ high powered passing attack. If Walford can catch the eye of Derek Carr, particularly around the redzone he has the ability to be a difference maker. Williams was hyped last year, but his production may just be a year behind. Many pundits had targeted Williams for big things last season, but he did not pan out. 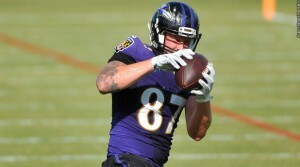 At only 21 years old, there may be a bit of development necessary before he can be the true number one tight end that the Ravens are looking for. One year later, Williams is poised to take on a heavier workload and hopefully start getting some looks around the red zone. He could still be a year away from a full blown breakout, but he should have some solid matchup based performances this season. This one is going to depend on which quarterback wins the starting job for the 49ers. Although I believe that Kaepernick has the higher upside among the qbs, Gabbert having the starting job would mean bigger numbers for McDonald. Last year McDonald was a viable fantasy option in many of the games started by Gabbert. It seems likely that this trend would continue into 2016, possibly with even better numbers. Very late in the draft, McDonald could make a nice pick for a second option at tight end. The big knock on Henry is that he plays for the same team as future hall of famer Antonio Gates. The good news is that Gates is at the very end of his career and he cannot function as an every down player. Henry should see his share of snaps so long as he has a good grasp of the offense. The Chargers have a soft schedule and if Henry bonds with Phillip Rivers, it could mean that the rookie puts up a few decent games this season. As of today, Eric Ebron went down with what is looking like a severe leg injury. There is reason to believe that he will either not play this season or not play until late in the season. At the moment Brandon Pettigrew is recovering from his own injury or else I would recommend him up front. As it is, keep an eye on Pettigrew's injury status and also watch for the Lions to sign a veteran tight end that could end up starting. Either way, there are going to be a lot of passes thrown and the right tight end could really cash in on this. There you have it, you are now fully prepared to find some hidden gems in your fantasy draft. If you have not done so already, look back at the other positions and be sure that you know which guys could come out of nowhere to make your friends look foolish at the end of the season.